I love seeing our Andy kick arse! Whether it be in Market shares, or wild evil creatures. Take Pocket Legends for example. We posted that the BETA was released just last week, and now (after more than 125,000 accounts were created) the kicking can continue in a smooth and unrestrained manner. Press release, video, and pictures after the jump! Pocket Legends is the world’s largest 3D Mobile MMO available in the App Store (for the iPhone, iPod touch, and iPad) and the Android Market. Pocket Legends has quickly proved to be popular with both the public and press, gathering praise from the most important publications in the industry. Since its release, Pocket Legends has received more than one million downloads and thousands continue to join its ranks every day. The game’s pick-up-and-play format, expandable nature, and unparalleled instanced gameplay have helped it become a benchmark game on mobile devices. 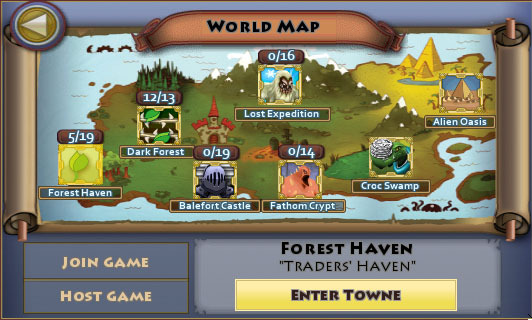 With Pocket Legends, smartphone owners from all over the globe can, for the first time, explore a detailed fantasy world together, in real-time, on the same server whether playing on iPhone or Android. The game also pioneered the use of open worlds, dungeons and story-driven quests in mobile gaming – surpassing, in some cases, the feature set of PC and console MMOs. So now that you’re drolling over this. Head to the site for the free download! To learn more about Spacetime Studios, please visit Spacetime Studios on the web!